In hotels, restaurants and commercial kitchens nothing less than perfection will do and everything has to be done quickly. Crockery and cutlery must be spotlessly clean and ready for use again in next to no time. Miele dishwashers rise to meet these challenges. Miele Professional's expertise is engineered into its commercial dishwashers. 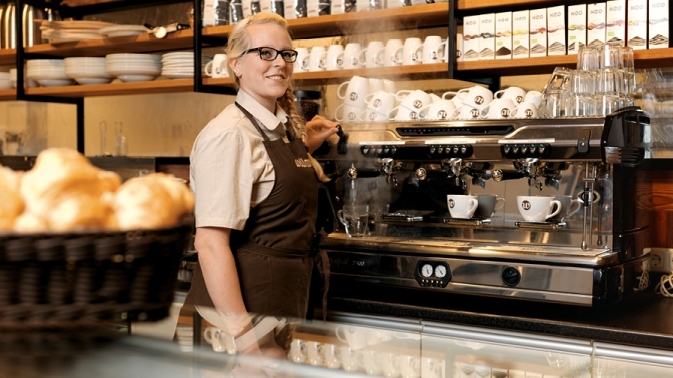 Miele machines produce hygienic results in short cycles. 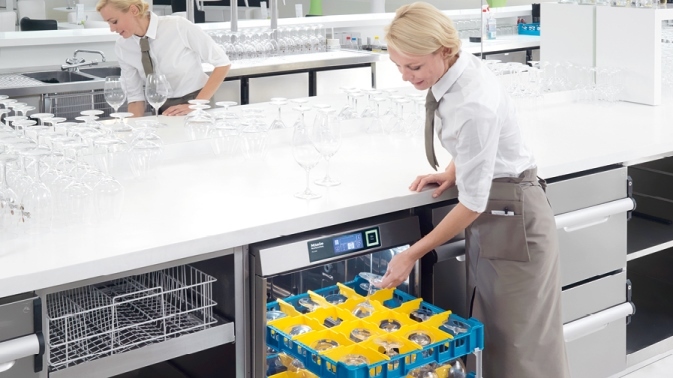 Miele's efficient tank system dishwashers clean up to 1000 plates an hour and achieve outstanding hygienic results. Whether it is a tank or fresh water system, Miele Professional sets standards in terms of usability and dishwashing results. This is guaranteed by intelligent programmes which can be customised to cater for individual needs. All Miele dishwashers are extremely economical in their use of water and electricity – and therefore highly energy-efficient and environmentally friendly.